Why Clint Eastwood Made My Day | What Would The Founders Think? I was thrilled when I found out Clint Eastwood was making an appearance at the RNC. The Left not so much. They were tweeting the “senile old man” meme before he ever took the stage. When the Josey Wales visage showed up in the backdrop and this American legend walked out on stage, I was captivated like I am sure most Americans were. What was he going to say, I thought to myself. Boy was I surprised. Then I did the channel switch between CNN, Fox, PBS and MSNBC and witnessed the reaction. The talking heads were all a sputter. Everything from histrionic outrage (Maddow, Matthews and Piers – oh my! ), to a sort of dazed discomfort (Greta Van Susteren) to the doddering old man that should have kept quiet “meme” that Blitzer, Brokaw and most of the other MSM folks portrayed. Only Megyn Kelly was unapologetic. But I don’t know if even she truly got it. But the people at the convention sure did, and so did the American people. Eastwood’s performance was brilliant. I watched it a second time and caught on at how much was going on. It was simple, common sense, unpolished, and more clever than people realize. Perhaps the expectation of a conventional speech confused folks at first, coming as it did between two convention speeches. But it was amazing. And really great comedy. Certainly a lot more courageous than most political comedians. Very subtle and very substantive. It wasn’t doddering, it was Jimmy Stewart like. Impromptu and real. The empty chair was metaphorical both from the empty suit perspective, but more importantly from the response perspective. Americans have increasingly felt that this President is absent, disconnected and uninterested in what is important to them. He’d rather be golfing. The American family has been abandoned by this President in favor of his pursuing policies that have not just failed to improve their lives, but have actually hurt them. Instead of giving them hope, he stole it. instead. Obama projects a disdain and an incomprehensible lack of concern. Eastwood’s pauses waiting for a response and then getting at first the “Shut up” response and then the go F yourself response, is exactly the pattern we get from this administration. The townhalls during the Healthcare debates were all about “shut up and sit down”. Eventually, the Democrats discontinued them. “Shut up” indeed. Then, it just morphed into the Biden paradigm. We felt it and Eastwood portrayed it brilliantly. He tapped into that sense of abandonment of leadership that we have felt for almost 4 years and he got it right. The fact that it enraged the Left, (the more Left, the more outrage) tells you how much it hit home. It punctured their “cult of the Personality” candidate…….and fuzzed up the image. And it showed what Americans intuitively have grasped. That he is aloof about them, mean-spirited towards them and could care less how what he does impacts them. Eastwood nailed it. The closing was perfect and vintage American common sense, like the man who delivered it: When someone doesn’t do the job, “ya gotta let ’em go”. Thanks Clint, you really did make my day. Clint Eastwood’s genuine concern for our country was obvious and the facts he presented were accurate and important. 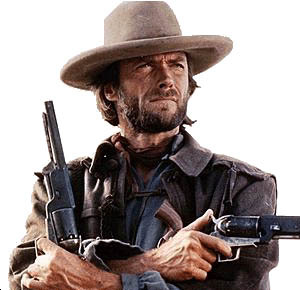 However, Eastwood “lowered the bar” to basement level when he implied the “F” word. He’s intelligent enough to have chosen other phrases to make his point. You may be right. I suppose I gave him a bit of grace on that, given its introduction into the public arena by Mr Biden upon passage of Obamacare. That made it a bit irresistible as counterpoint and an effective way to remind us of who really lowered the bar while making plain what POTUS thinks of us.